Hide deals from seller "Southport Rigging"
Hide deals from category "Bike Shops"
Limit 1 per person. Valid toward any snowboard package or an adult bike. 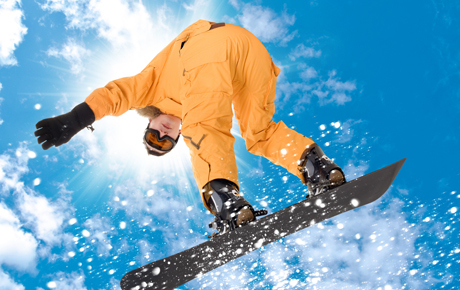 Snowboard packages can include board, boots and bindings. Promotional value expires 90 days after purchase. Advertising solicitation prohibited. Getting the right athletic equipment may not guarantee your success in the sport, but at least it'll seem like you know what you're doing. Be well equipped for the slopes or the trails with this deal for 50% off $100 toward an adult bike or a snowboard package from Southport Rigging in Kenosha, Wis. In business for more than 30 years, Southport Rigging provides products and services for a wide range of activities, from water to winter sports. The snowboarding package is customizable, so you can choose the items that work best for you. Whether you prefer boards or bikes, the knowledgeable staff will help you choose the perfect equipment for your goals and your skill level. Along with snowboarding and cycling, they offer products for windsurfing, wakeboarding, paddle boarding and skateboarding. A shop with activity equipment ranging from cycling to snowboarding.